How to Set Up Plex on Roku and Rip DVD to Roku for watching via Plex? Mostly you may use the Roku 3 as a top-up box for your Plex media center. The article will show you on how to set up Plex on Roku 3 and rip your DVDs to Roku 3 and Plex playable formats. Plex Media Server is all the rage lately. While streaming services like Netflix and Hulu give you easy access to TV and movies at home or on the go, they don’t have DVD quality video and audio. High-end servers like the Kaleidescape provide DVD quality playback, but are costly to purchase and limit your playback to the room that the box is located in. Fortunately, there are options like Plex. Plex can provide playback for your DVDs in their original quality. Plex can also stream this content to mobile devices and your web browser. Beyond movies and TV, Plex also provides easy playback of your entire music collection, home movies, and pictures, as well as other internet content. 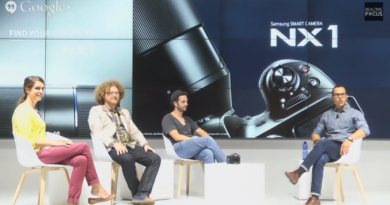 It can become the content hub for your home theater, and it’s practically free. 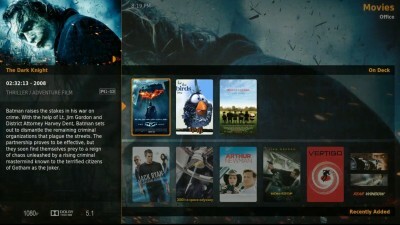 Today, we’re going to walk you through setting up your own Plex system. 1. You need the free Plex Media Server software. This sends your content to the playback devices. 2. Next, you need the Plex Client playback software on a Home Theater PC, or a supported device like the Roku. These “catch” the content that the Plex Media Server sends out. You can also use a mobile device, or web browser, but, today, we’re going to focus on the highest quality playback options. Note that in the case of a Home Theater PC, you can install both the server and client on the same PC for a single device solution. 3. Finally, you need to get your content on to your computer, so we’ll give you some options for moving over content from DVDs that you own. During installation, Plex will ask you to name your server. Because mine runs on a computer in my spare bedroom, I’ll call it “Bedroom Plex.” When the Installation is complete, Plex Media Server will now run in the background, even if you restart your computer, unless you tell it not to. Plex will ask you to create a login ID. This allows you to view your content and make system changes from any internet connected browser. When you want to make changes to the server settings, simply login at plex.tv, or right click on the taskbar icon, and select “Media Manager”. All the configuration is done through a simple web interface. Step 3. Add your content to libraries. Libraries are how you add and organize your content in Plex. You simply select what type of library you want (i.e. Movies, TV Shows, Music, Photos, or Home Videos), and then tell Plex which folders it should pull that content from. To add a library at anytime, login to Plex and click the “plus symbol” next to your server name. Movies and TV libraries will match show descriptions based on the file name, Music will use metadata tags, and Photos and Home Movies will simply display the name of the file itself. A single library can point to multiple folders, so if you have one folder for lossy mp3s, and one for lossless audio, you can select both folders for “Music”. For more advanced users, you can create multiple libraries. For instance, you can create a library called “Kids TV” and only allow your children access to that library through their devices. You can save your “Grownup TV” library for your Game of Thrones episodes. That’s it, your content is now being served up. Let’s move onto Part 2, setting up a client. The Plex website shows you all your options for where you can playback your content. If you have an HTPC, the free client gives you the most beautiful Plex presentation and your media can playback in its original bitrate and resolution, including lossless HD audio. We’re going to take another inexpensive and simple approach and load Plex on the $50 Roku Streaming Stick. This setup doesn’t offer original quality, but still looks great, streams Dolby Digital/DTS, is simple to set up, and is available for $50 or less. You can find out more about the Roku streaming stick in video review. The Plex channel for Roku can be purchased from the Roku store for $5. Plex also offers a monthly, yearly, or lifetime “Plex Pass” option which, in addition to supporting the Plex developers as they continually add great new features, gives you access to free apps on all platforms, among other things. After you have installed the Plex Roku Channel, simply select it and sign in using your Plex login. Roku will search for your Plex Media Server and find the media that you are sharing. You can now easily play TV, Movies, Music, and Pictures stored on your server computer or NAS. At this point, you are finished with configuring Plex. 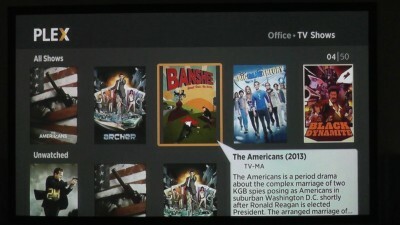 In Part 3 we show you how to get the DVDs you own onto your Roku 3 with Plex Server. Officially, the Roku 3 only supports H.264 MKV and MP4/M4V video, meaning that’s the only media recognized over USB and Plex’ Direct Play. The point here, DVD format is not supported and you may find it a painful experience to stream DVD to Roku 3 via Plex. Luckily, there is an easy workaround to fix the issue. If you’re interested in doing likewise, we have a great tutorial for you, guaranteed to play DVD movies on Roku 3 thru Plex. 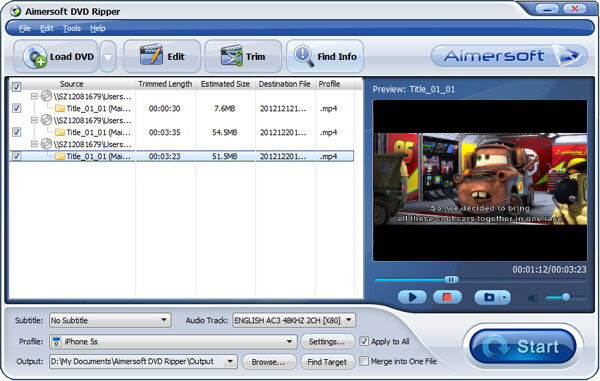 What you need is a just a common DVD Ripper like Aimersoft DVD Ripper (Review). It’s easy to use for conversion and makes great quality copies of your DVDs. With it, you can convert your DVD movies to a Plex/Roku friendly format (H.264 MP4/MKV) for streaming to Roku 3 with fast encoding speed and high quality. In addition, the program has outputs with optimized settings for your portable device like Android, iPad Air 2, iPhone 6, Samsung Galaxy Tab 4, Galaxy Note 4, Surface Hub, Hudl 2, Nvidia Shield, etc. You just need to select the device as the output format and you can rip DVD to fit your device without further settings. Download the tool and learn a simple guide on ripping DVD for watching on Roku 3 via Plex channel. 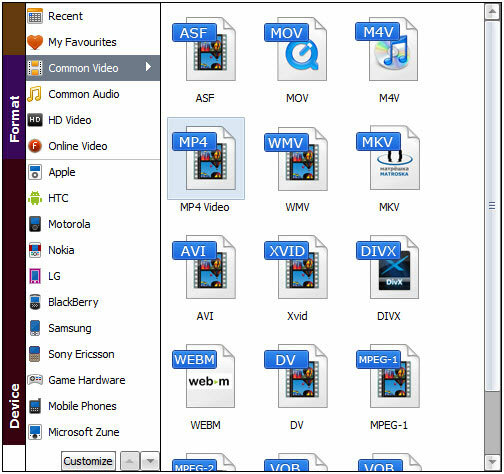 This guide uses DVD Ripper for Windows screenshots. The way to rip DVD on Mac is the same. Just make sure you’ve downloaded the right version according to your situation. Insert the DVD disc into your computer’s DVD drive and launch DVD Ripper. Then click “Load DVD” to select and import the DVD files you want to rip to this program. Loaded files can be previewed in the right viewing window and you can take snapshots of your favorite movie scenes. Tips: You can click on the dropdown list of “Subtitles” to select your needed subtitles so that you can view DVD movies with proper subtitles. Click the “Profile” -> “Common Video” or “HD Video” option, and choose MP4, MKV formats recognized by Plex/Roku as output format. When all these settings are ready, you can click the “Start” button at the bottom of the main interface to start the conversion. It will automatically convert DVD to Plex Media Server compatible video files for further streaming to play on Roku 3. Once the conversion is finished, click “Find Target” to quickly find the converted movies. Then, Plex will recognize, catalog, play and stream these DVD files to Roku 3 at ease. When the rip is done, you may want to rename the files using the title and year for movies, and title, season and episode number for TV. This will make sure that Plex correctly identifies your content and downloads the proper images and other information. You can also create subfolders to keep everything organized. That’s it. You now have everything you need to get Plex up and running at little to no cost. In addition to watching your content at home, you can explore Plex mobile apps to access it on the road, and share your content with friends. Let us know how you like Plex, whether you’re using it on Roku, a HTPC, or another device. ← How to Play MP4 video on PS4 from USB Drive?